Chatila’s Bakery Sugar Free E’toiles are now available. These decadent, large, classic French style cakes are sugar free and only 1g net carbs per serving. If you can’t get enough chocolate these were made for you! Be sure to check out all of our low carb cakes and sugar free cakes on the Linda’s Diet Delites website! Chatila’s Bakery Sugar Free Swiss Rolls are now available in chocolate or vanilla flavor. 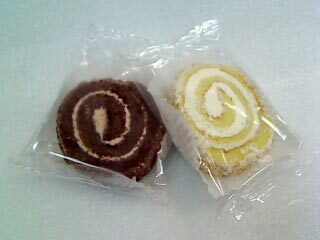 Each swiss roll contains multiple layers of fluffy cream and light cake. Be sure to check out all of our low carb cakes and sugar free cakes at Linda’s Diet Delites! 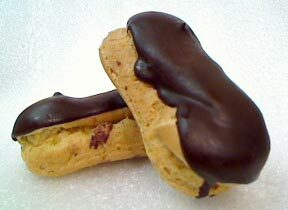 Chatila’s Bakery Sugar Free Mini Eclairs are now available. Each mini eclair is a small, light, flaky, sugar free eclair filled with sugar free vanilla cream and covered with sugar free chocolate syrup. Be sure to check out all of our low carb pastries and sugar free pastries at Linda’s Diet Delites! 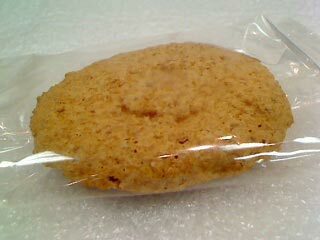 Be sure to check out our wide selection of low carb cookies and sugar free cookies on our website. Yes to Cookies has made some fantastic changes to their cookies recently. The most important adjustment is they have changed their sweeteners to include all natural luo han guo. As a result of including this sweetener, they have been able to bring the claories down from 60 calories per cookie to 48 calories per cookie. Even better, the total impact carbs are now 0g instead of 2-3g. Creating cookies with these nutritionals is quite a feat, especially considering the cookies are also gluten free. For those of you dieters who like a frosted sugar cookie around the holidays, the Yes to Cookies now come with frosting. This both adds to the look and taste of the cookies. Finally, Yes to Cookies now comes in the flavor Old Fashioned Ginger Spice. Be sure to check out our wide selection of low carb cookies and sugar free cookies on the website! Nugo Nutrition Dark Chocolate Chip bars are now available. From Nugo, “Find out what decadence tastes like. This Chocolate Chip bar covered in Dark Chocolate will curb all of those chocolate cravings and leave you wanting more. NuGo Dark is the first protein bar of its kind — low-fat, vegan, OU Pareve, and covered in delicious, antioxidant-rich dark chocolate. Check out our full selection of healthy bars on our website! 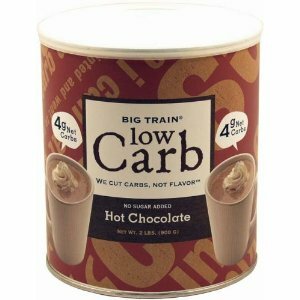 The Big Train Low Carb Hot Chocolate 2lb Tub is now available to compliment the 5 pack boxes. This rich hot chocolate mix is low in carbs (only4g), has no sugar added, and is great for those of you looking for a more economical option. Take a look at all of our healthy mixes and low carb mixes at Linda’s Diet Delites! 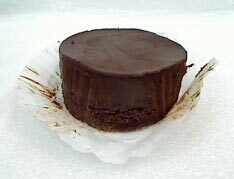 There’s something about chocolate that makes it hard for low carb dieters to give up. Whether it’s the savory, bittersweet taste or the rich, indulgent texture, chocolate is more than just something sweet to eat — it’s a symphony of decadent bliss that no other dessert seems to match. It’s no wonder that some people’s vice in life is chocolate. That being said, spiraling downward into a choco bender every week or two is not a birthright for the hopeless chocoholic, particularly if you’re carb intolerant and trying to lose weight. Even if you trade off white chocolate or milk chocolate for 80% cacao dark chocolate, the sugar and carb levels in even the most cocoa-heavy chocolate levels will not jive with a low carb diet. For the chocoholic, it’s enough to make them lose faith in the low carb lifestyle. Luckily, sugar free chocolate now gives chocoholics , low carb dieters, and diabetics alike the opportunity to indulge in a chocolate bar or two without spiking their blood sugar levels and crossing over their critical carbohydrate level. There are now several sugar free chocolate bars on the market that will give you the indulgent experience of chocolate without the sugar. The reason why sugar free chocolate is so “passable” for the low carb dieter is because chocolate is more than just the taste of sugar. With cotton candy, lollipops, and taffy, if you take away the sugar, you have nothing; the actual composition of those candies is predicated on sugar. Chocoloate, on the other hand, is a sum of its parts — and sugar is only one part. In addition, you also have the cocoa, as well as the cocoa butter. Combined with milk, toying with these variables allows for such a wide array of chocolates: white chocolate leaves out the cocoa and only contains cocoa butter, dark chocolate is heavy on cocoa and lighter on sugar, etc. Because of this, sugar free chocolate can utilize artificial sweeteners effectively by masking the aftertaste with the rich, savory bitterness of cocoa and the buttery flavor and texture of cocoa butter. 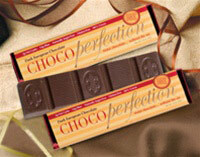 Take Chocoperfection’s Low Carb Chocolate Bars, for example. The ingredient list reads much like any other fine European chocolatier: “Dry Cocoa Solids 60%, Oligofructose, Erythritol, Cocoa Butter, Soy Lecithin, Natural Flavors.” With the exception of the Erythritol — the artificial sweetener — this list of ingredients for their dark chocolate variety has the same kind of ingredients as Lindt’s own dark chocolate truffles. And because of the high 60% cocoa levels, any aftertaste from the Erythritol is negated. But if you’re looking for sugar free chocolate that barely touches your blood sugar levels, CarbRite’s SugarFree Chocolate Bar might be the best choice. With only one net gram of carbs, it is one of the lowest sugar free chocolate bars on the market that still maintains its great taste. CarbRite’s formula for creating a sugar free chocolate bar is bit different from Chocoperfection — they use a combination of maltitol and sugar alcohols, both of which yield a surpprisingly natural sweetness to their chocolate bars. If you had begun your low carb diet under Dr. Atkins’ tutelage back in the late 1960s, his answer would be a flat no, followed by an explanation of how boundless servings of steak, lobster, and cheese can satisfy even the most desperate sweet tooth. Unfortunately for the good Doctor, he didn’t live long enough to see the emergence of low carb foods, particularly sugar free chocolate like the ones mentioned above. But just because sugar free chocolates exist on the market doesn’t mean that you should start off your low carb diet with a bar or two each day. As with all low carb diet plans, your first induction week should be as low on the carb counts as possible — and no sweets, real or artificial. The idea behind this is to begin to purge yourself of the insulin dependence and psychological addiction that comes with sweets. However, if you’ve been chugging along on your low carb diet for some time now and feel comfortable with the notion of adding a low carb sweet into your weekly regimen, then sugar free chocolate is a wonderful option. The Beanitos Black Bean Chips have been so popular we have now decided to add the Beanitos Pinto Bean & Flax Chips. Just like the original black bean chips these pinto bean chips are certified low glycemic, corn free, gluten free, high fiber, low carb, and high in omega 3s. If you have been searching for something to eat with your salsa that won’t ruin your diet, these are definitely worth a try. 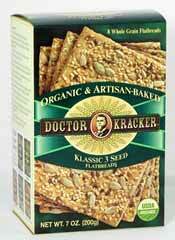 Check out our wide selection of healthy chips and healthy crisps and Linda’s Diet Delites!